Increases in the production rate of the Lockheed Martin F-35 Lightning II single-seat, single-engine, stealth multirole fighter aircraft at BAE Systems Samlesbury has resulted in significant investment in the F-35 Machining Facility, a state-of-the-art machining capability where parts for the aft fuselage and vertical and horizontal tails are machined. The facility represents £150 million pounds worth of investment, in support of the F-35 programme and the increasing production rate, demand and growth in capability has in turn placed greater emphasis on tool pre-setting to keep these machines running efficiently. It was here that Operations Manager for Machining at BAE Systems, Gareth O’Beirne, turned to System Store Solutions for their assistance. 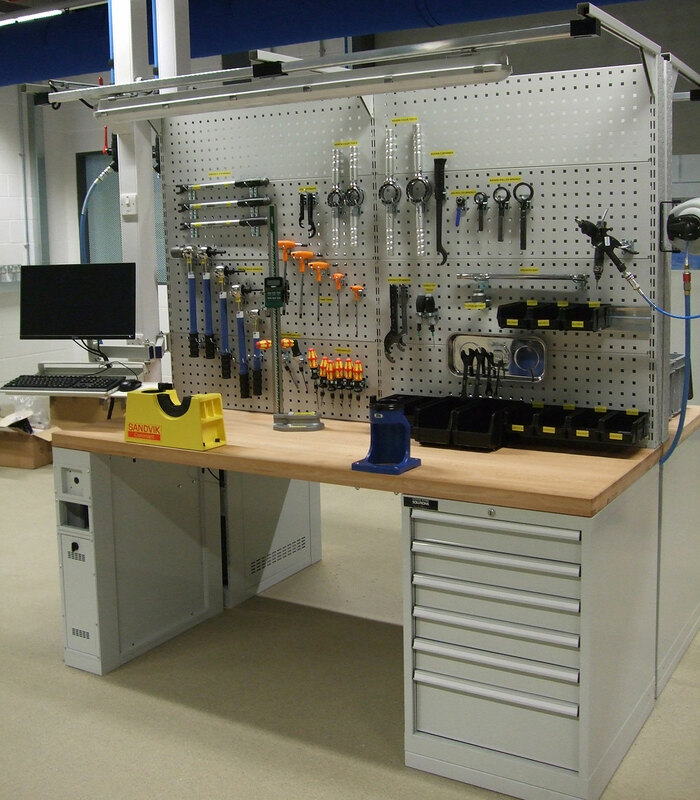 System Store Solutions was given a blank sheet of paper to come up with a design solution that met BAE Systems’ requirements, using their experience and workshop knowledge. 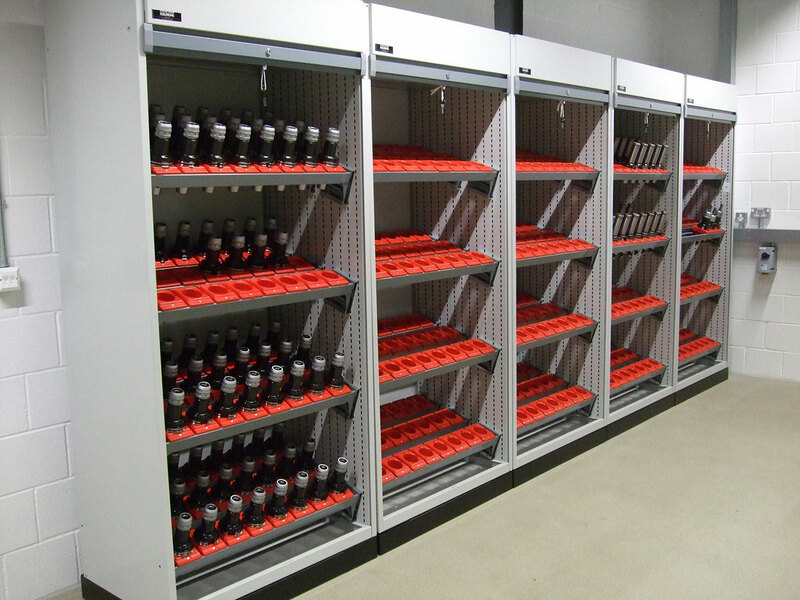 The end solution has resulted in the operators having everything to hand, with individual operator stations for tool assembly, storage for the KanBan system and general racking for tooling. “What we have now is a highly efficient, ergonomic, working environment that meets our requirement to enable the machining facility to meet its production targets,” says Gareth O’Beirne. System Store Solutions works across many industry sectors and it is this experience that enables it to create better and more efficient working environments for its customers. “The opportunity to work with BAE Systems on this project, and others, is down to the quality of product that we supply and the knowledge that we have of storage and workshop layouts to deliver the most effective solution for customers,” says David Price, Managing Director, System Store Solutions.